The UK government’s nuclear policy is under renewed scrutiny as the firm behind a £20bn reactor in Wales looks set to halt construction. Japanese media reports say Hitachi will suspend on its Horizon division’s Wylfa Newydd plant this week. The company says no formal decision has yet been made. But if the project is scrapped, it will cost 400 jobs and leave the Hinkley Point power station in Somerset as the only new UK reactor still being built. The government continues to stress that it is still in talks with Hitachi about Wylfa. 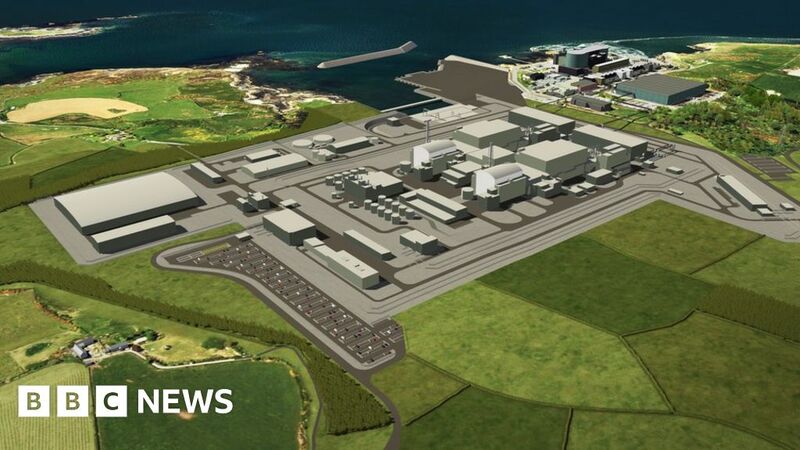 A spokesperson for the Department for Business, Energy and Industrial Strategy (BEIS) said: “Negotiations with Hitachi on agreeing a deal that provides value for money for consumers and taxpayers on the Wylfa project are ongoing. The latest developments are likely to force the government to sweeten future nuclear plant deals for potential investors, in what one expert has called a “desperate leap in the dark”. Energy Secretary Greg Clark has already suggested that regulated asset base (RAB) funding could be used for nuclear projects in future. The method, which has already been used for other infrastructure schemes including the £4.2bn Thames Tideway “super-sewer”, allows investors to receive returns before the projects have been completed. It also allows the Treasury to keep the costs off its books by recouping the investment from consumers’ bills rather than through direct taxation. A BEIS spokesperson said on Sunday that it remained the government’s objective in the longer term that new nuclear projects like other energy infrastructure should be financed by the private sector. One economist, Prof Dieter Helm of Oxford University, says this could work if it is properly regulated. In an analysis of the model, he wrote: “The RAB approach is in a first, best world probably inferior to the direct procurement route, but the latter is ruled out by the Treasury-imposed constraints. However, energy expert Prof Paul Dorfman, of the Energy Institute at University College London, is more sceptical. He told the BBC that nuclear power plants could not be built without “vast” public subsidies and that RAB funding was merely “a fiscally dextrous form of subsidy”. He added: “It’s never been tried for projects as technically complex as nuclear power that take about a decade to build. Both Prof Helm and Prof Dorfman take the view that the UK has various possible ways of satisfying its future energy needs. For Prof Dorfman, renewable energy is now “cost-competitive with fossil fuels” and offers “a cheaper and better way forward”.